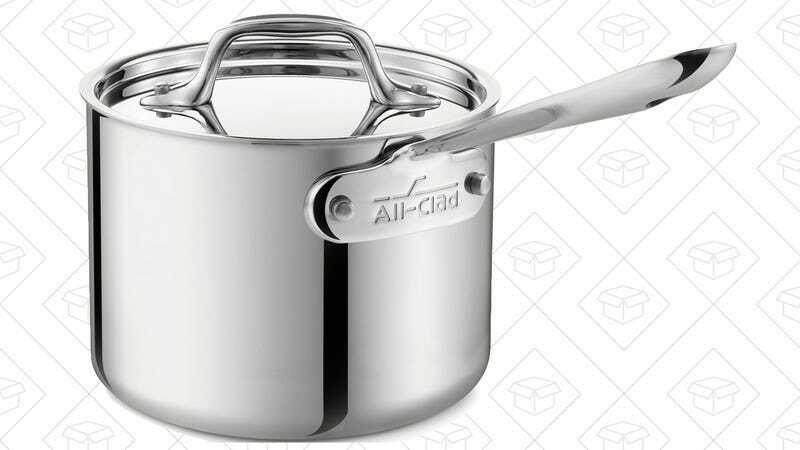 The saucepan companion to your favorite skillet is down to an all-time low $48 on Amazon today. 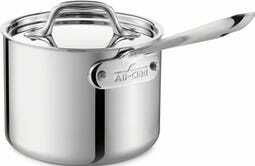 Like All-Clad’s skillets, this 1.5 quart saucepan features tri-ply construction that encapsulates a core of aluminum (which extends all the way up the sides) with two layers of beautiful and durable stainless steel, giving you the even heating of the former with the strength of the latter. I actually own this exact pan, and it heats up noticeably faster than any of my others. Plus, it just looks gorgeous.